Jason Wylie has been involved in the fitness industry for over 12 years. He is a United States Air Force veteran and his approach to training has been described as “zen like”. He truly believes that helping someone make a positive change in their life is the key to bettering yourself both mentally and physically. He is proficient in all types of training including weight loss, sports performance, rehabilitation, and pre-post natal fitness. 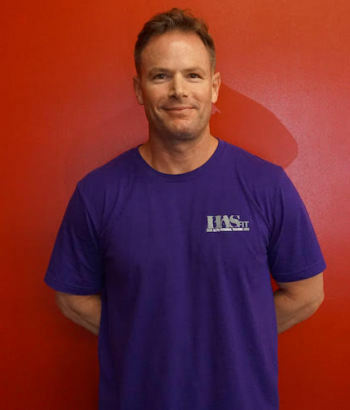 Jason is an avid swimmer and enjoys hiking, running and weight training. A motor vehicle accident in 2000, left him with a fractured spine which he rehabbed on his own through a combination of proper nutrition and strength training. His knowledge of human anatomy and biomechanics continues to serve his clients well.